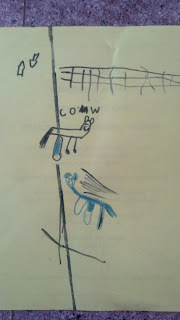 Cora came home from school yesterday talking about how she wanted to get a fenced enclosure and a pony. I blew it off, confident that a good night of rest would soon make this request a thing of the past. While I was away watching VMI play, Cora drew up plans! 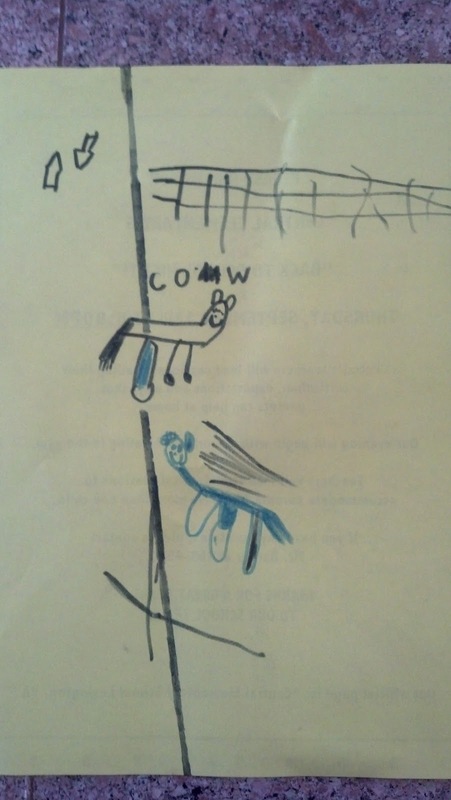 Now, it seems, the pony is going to have a cow for company. get your wallet out 'T' !!!! maybe encourage her to be an artist!